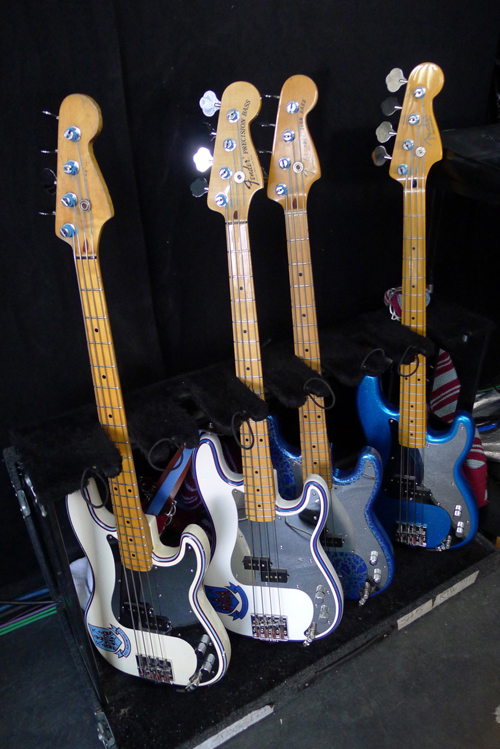 Steve Harris Precision Bass 2015, 4-string bass guitar from Fender in the Artist Precision Bass series. A beautiful, well-crafted Mexican-made bass. Very high price for a remote "signature" model. 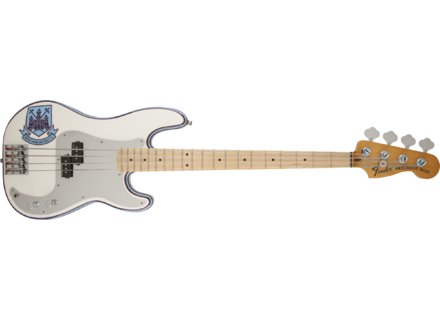 On this model, Fender offers the commercial Steve Harris signature model, which xosts approximately 100 bucks and is nothing but a mere classic SPB1 with slightly enhanced mids. Harris also uses a Badass II bridge, while this model features a Fender Himass… with a very average sustain! As for the West Ham model (Harris owns two – one with black/blue/black binding, the other with red/blue/red). This is important as only that with the red binding features the Fender Precision Bass logo. The other one (with the blue binding) has nothing written on the head. So, that Fender “replica” is only an average-crafted Mexican bass that they sell at an indecent price so as to make believe it is a perfect replica. In a word, if you’re a big fan of Harris, do what I did and go for the older Harris signature model, which is closer to “the real thing” with its Badass bridge and SPB3 pickup.